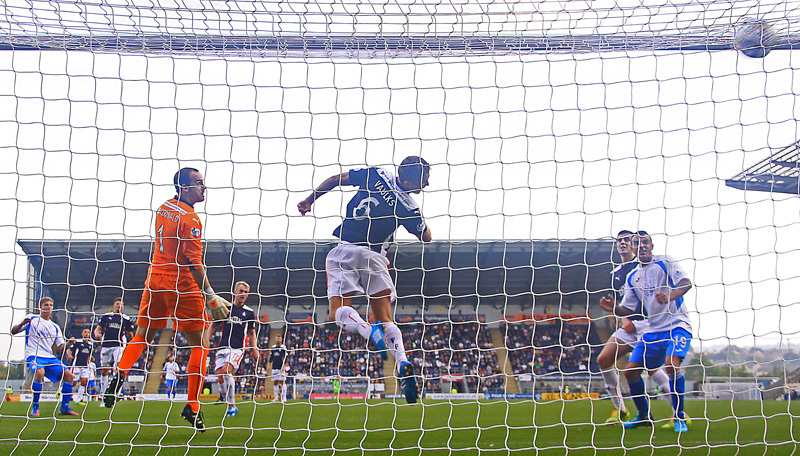 It`s almost four months to the day since Queens last played at the Falkirk Stadium. A lot has changed since then. 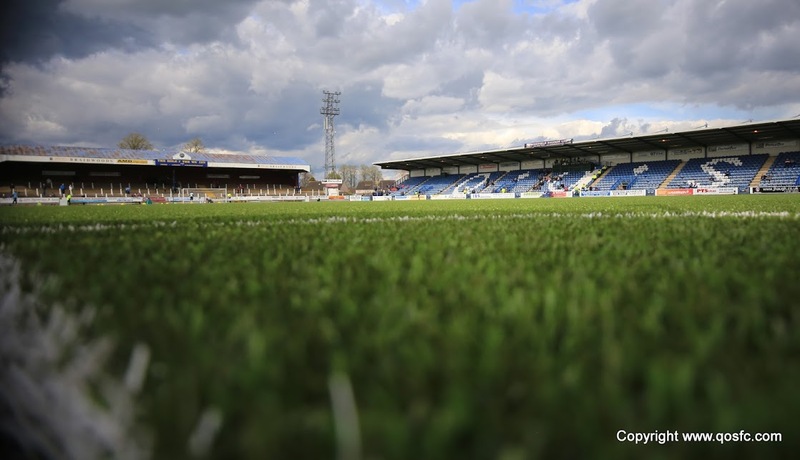 For one, Queens and Falkirk were facing off in the play-offs with a chance to play in the Premiership. The league didn`t contain any of the `big three` in May either. And, perhaps most notably, Jim McIntyre was the Doonhamers manager. But the World keeps on turning and James Fowler`s Queens side stuck in and performed doggedly to grab an important point in a 1-1 draw with the Bairns. Gavin Reilly smashed home the game`s opening goal but an unfortunate Mark Durnan own goal meant Fowler`s caretaker reign didn`t get off to a winning start. However, after the opening 45 minutes, it seemed like this game was destined for a dull 0-0 draw. Derek Lyle was the first man to register a shot on target after ten minutes but his effort was drilled straight at Jamie MacDonald in the Falkirk goal. At the other end, Chris Higgins was booked for chopping down Rory Loy just outside the box and David Smith came close for the hosts with the resulting free kick. 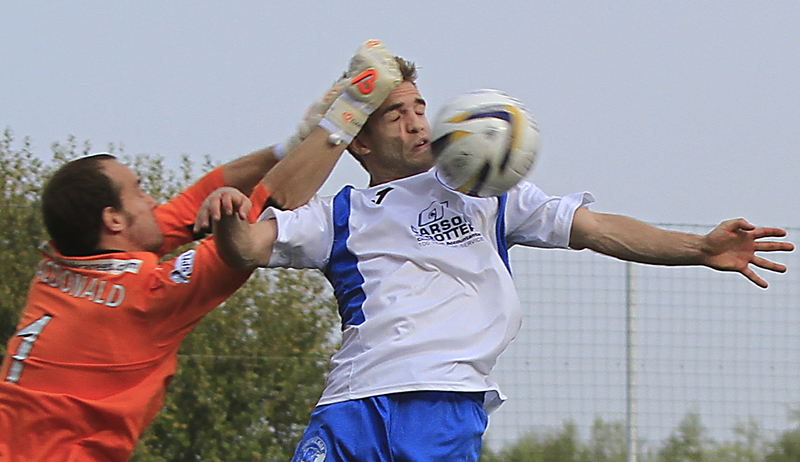 However, the opening 20 minutes passed with little incident and both sides struggled to break down one another. Rory Loy forced Zander Clark in to his first save after the half hour mark but the Queens `keeper didn`t have to move far to stop the former Rangers striker. Moments later Dan Carmichael delivered a dangerous cross in to the box for Gavin Reilly to rifle home but the striker failed to connect with the ball. Reilly went close again ten minutes later as he swivelled on the edge of the box and volleyed the ball past Jamie MacDonald who didn`t move an inch. Unfortunately for the visitors the ball flew inches by the post as Queens had the best chance of the first half. Craig Thomson blew the whistle for half time and a chorus of boos echoed around the Falkirk Stadium as the 3793 in attendance were disappointed at the quality of football on show in the opening 45. Queens set about improving the quality early on as Carmichael ran at the Falkirk back four, causing them problems but it was the final ball which was lacking. 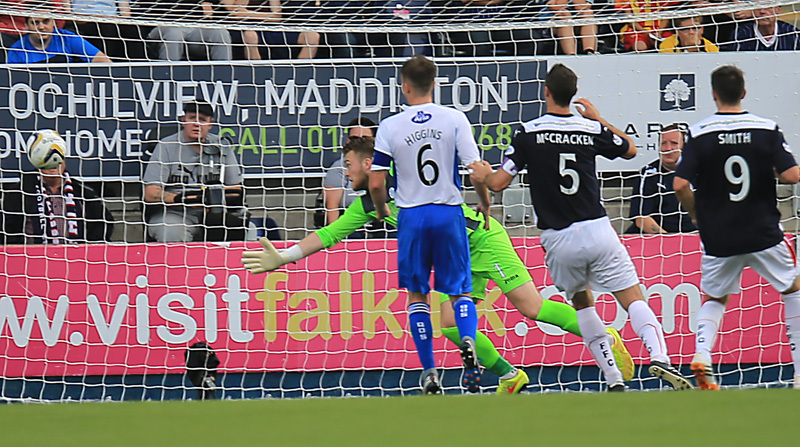 Kevin Holt tried to inspire Queens to the game`s opening goal when he drilled the ball across the six yard box but McCracken cleared the danger for Falkirk. Rory Loy tried to edge the visitors in front but his shot scraped by the post as the Bairns started to apply pressure to Queens. The 250 travelling Doonhamers were almost celebrating moments later, however, as Carmichael forced MacDonald to make a superb save as he fired in a shot which looked destined to make the top corner. However, the Queens euphoria didn`t last long and with ten minutes to go Falkirk drew level through a Mark Durnan own goal. Craig Sibbald fired a free kick low and hard and the ball appeared to strike several players with Durnan being the unlucky man to touch it last. Both sides failed to create any chances to go on and win the game but James Fowler`s side grabbed a share of the points. Queens remain fourth in the table and with a tough run of fixtures coming up, every point is vital in this season`s Championship. 14:20 Today`s Referee is Craig Thomson and he is assisted by Andy Milne and Calum Haswell. 14:58 The teams are out on the pitch and we`re almost underway at the Falkirk Stadium. 10 min Lyle goes through one on one with Jamie MacDonald but he drills it at the `keeper. 14 min Opening ten minutes have passed at the Falkirk Stadium with very little between the sides. 17 min Falkirk trying to put pressure on Queens but the final delivery is lacking. 36 min Rory Loy forces Zander Clark to make his first save of the match. 38 min Carmichael swings in a delivery but Reilly fails to connect with the ball. 40 min Reilly volleys the ball inches past the post for Queens. Best chance of the game. Half Time A disappointing first half at the Falkirk Stadium as the sides go in goalless. Half Time Queens return to the pitch for the second half as they look to improve on their first half performance. 49 min Carmichael wins a corner for Queens. 56 min Kevin Holt blasts the ball across the six yard box but the danger is cleared by Falkirk. 65 min Zander Clark swats the ball away and denies Falkirk the opener. 66 min Rory Loy almost opens the scoring for the hosts as he shoots from ten yards out but it squeezes by the post. 68 min Lyle`s volley from 40 yards out almost catches out Jamie MacDonald but his shot fails to hit the target. 69 min A fantastic save from Jamie MacDonald denies Carmichael from putting Queens in front. 70 min Reilly blasts the ball in from six yards out to give Queens the lead after Carmichael squares the ball back to the striker. 1-0. 79 min Today`s Attendance is 3793. 84 min Hard to tell who got the last touch but Falkirk are level through a deflected free kick. 90+1 min Corner to Falkirk in the closing minutes. Queens living dangerously here. 16:47 Queens and Falkirk finishes 1-1 with a late Chris Higgins own goal giving Falkirk a share of the points.